The city is its people. Civic conversations are an opportunity to meet in a safe space and discuss civic issues that are near and dear to our hearts. Bringing together individuals and organizations from across the city, we will explore “What Will It Take” to enhance and amplify the parts of our city that we are already proud of, and to create more space for happier, healthier, smarter and safer qualities of life for our citizens. What are ‘human rights cities’? Imagine living in a society where all citizens are committed to build a community based on equality and non-discrimination; where all actively participate in the decisions that affect their daily lives guided by the human rights standards; where people have consciously internalized the holistic vision of human rights to overcome fear and impoverishment – a society that provides human security, access to food, clean water, housing, education, healthcare and work at livable wages… sharing resources and opportunities with all citizens not as a gift, but as a realization of their inalienable human rights. A Human Rights City is a practical and viable model that demonstrates how living in such a society is possible! Together we will examine some examples from around the world and identify what might be required for Ottawa to adapt the Human Rights City model here at home. Guest Speaker: John Packer, Director of the Human Rights Research and Education Centre at the University of Ottawa. John Packer is Director of the Human Rights Research and Education Centre and an Associate Professor of Law at the University of Ottawa. He previously taught at the Fletcher School (Tufts University) and the University of Essex, held Fellowships at Cambridge and Harvard Universities, and has lectured at academic and professional institutions around the world. Over his 30-year career, he was an inter-governmental official for 20 years (UNHCR, ILO, OHCHR, UNDPA, OSCE) and has advised numerous governments, communities and other actors in over fifty countries. 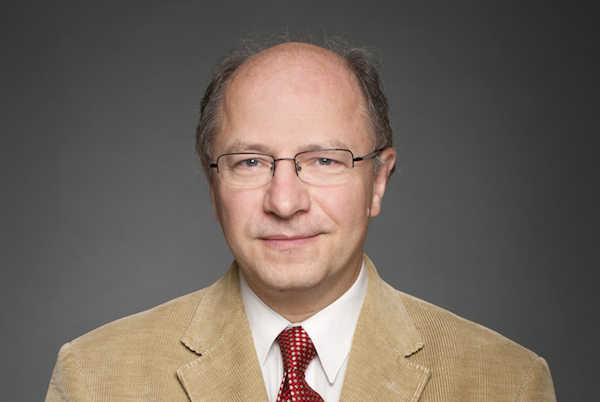 The focus of his research and practice is at the inter-section of human rights and security, notably conflict prevention and quiet diplomacy, international mediation, transitional arrangements, and institutional developments at domestic and multilateral levels. He publishes widely and is on the Board of a number of NGOs. If anyone would like to help us make this event inclusive, please consider donating a ticket to someone who wouldn’t be able to participate otherwise. Just select, Donate This Ticket in the ticket menu and we’ll take care of the rest. Thank you. Podcast to be recorded by CHUO 89.1FM. 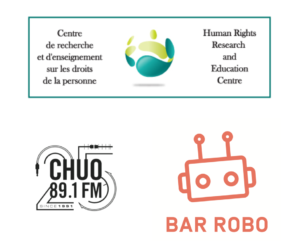 What Would It Take for Ottawa to be a Human Rights City is happening on Tuesday, Marc 28, 2017 from 8:30 – 10 am at Bar Rob (692 Somerset Street West). Tickets are $20 and are available at Eventbrite.